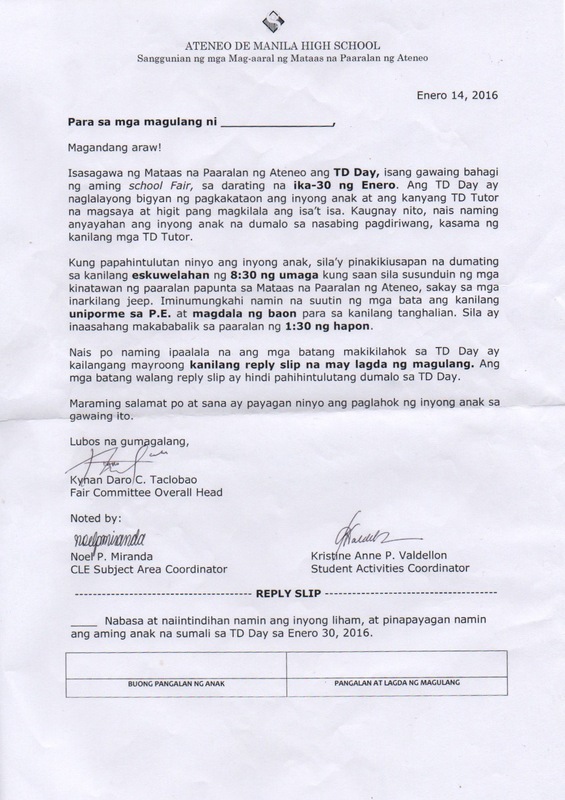 Please download and print enough copies of this letter for the parents of your TD Kids if you intend to join the TD Day on 30 January 2016. You will need to collect the reply slips on the TD Tutoring session right before the Fair (the Exposure Trip session). Explain well to your TD Kids that they will not be allowed to board the jeep and head to the Fair if they do not have permission slips from their parents.